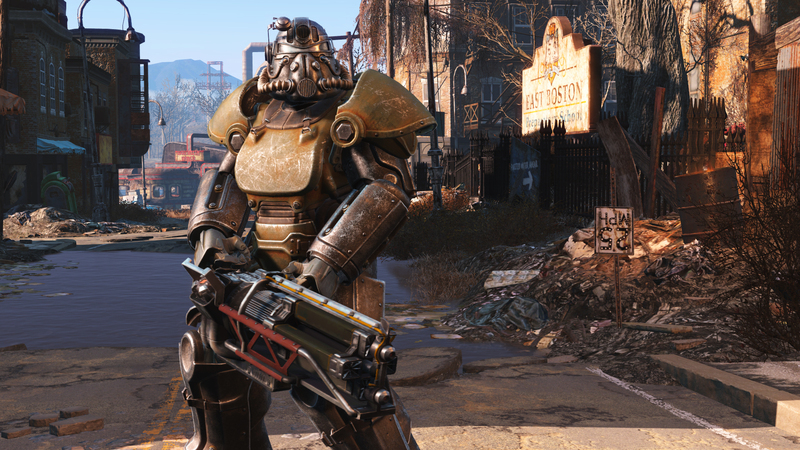 Many copies of Fallout 4 PS4 are already in the hands of gamers ahead of the launch date (officially set for November 10 on all platforms), and the first reports seem to concur on significant frame rate issues. A topic has been created exactly for this kind of report on the Neogaf board, with two users providing video evidence of the slowdowns. Apparently, Fallout 4 PS4 struggles particularly inside buildings, where frame rate can go noticeably below the advertised 30 FPS; things get even worse if the players use the scope to aim or get shot by enemies. The reports also concur that this present issue is impacting gameplay in a significant way, as it makes combat more difficult other than the obvious immersion problem. Even Tidux, an industry insider who often leaks PlayStation news and gets games before the release date, offered the same feedback on Fallout 4 PS4, going as far as saying that frame rate sometimes goes down to single digits. Tidux also shared a video on Twitter directly via his PlayStation 4 showing frame rate issues, but it has been since taken down. He then mocked Pete Hines’ (VP of PR and Marketing at Bethesda) tweet saying that Fallout 4 PS4 ran at solid 30 FPS. Moreover, this apparently happens with the 1.01 or Day One patch installed. Of course, nothing prevents Bethesda to fix this issue with another patch before the official launch, though there’s very little time left now since the game will be out worldwide in less than two days. Unfortunately, this isn’t the first time Bethesda games have problems on PlayStation platforms. The frame rate issues of Elder Scrolls IV: Oblivion and Elder Scrolls V: Skyrim on PlayStation 3 are legendary by now, though that could have been explained by the unique and rather complex CELL architecture. PlayStation 4, on the other hand, has a very straightforward architecture and is practically identical to Xbox One. It will be interesting to see the performance of Fallout 4 on PC and Xbox One. In a related note, Bethesda revealed a little bit about their graphics technology last week (including their collaboration with NVIDIA, which we had previously disclosed), and then also shared the obligatory launch trailer. If you don’t mind leaks, there’s a ton of gameplay information on the game here.